Often the psychologist will refer your child for a speech and language assessment as well if this has not been done. 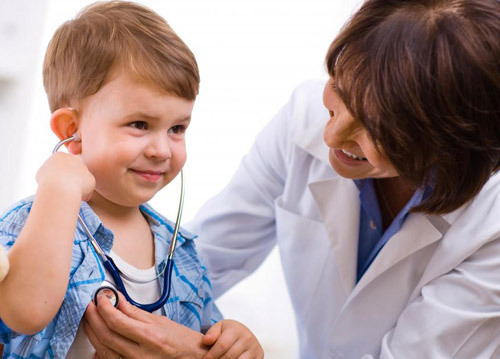 Children also require an evaluation by a paediatrician (a doctor who specialises in children’s health and development) to assess their overall development and to ensure that any medical conditions known to be associated with ASD (e.g., epilepsy) are identified. This evaluation is often done prior to the assessment to ensure that the best treatment interventions are implemented (including, for example, melatonin for sleep onset difficulties). Often, information about the child’s behaviour in a peer group setting (e.g., childcare, kindergarten or school) will also be obtained. The ADOS (Autism Diagnostic Observation Schedule) assessment and parent interview are conducted by the psychologist and the rest of the information is gathered prior to the assessment so that an informed decision is made about the ASD diagnosis and the results are explained to the parents at the feedback session. The ADOS is a semi-structured, standardised assessment of social communication skills, social interaction skills and play skills. Other behaviours relevant to the diagnosis of ASD are also noted, including restricted and repetitive behaviours, sensory issues and attention difficulties. The information gathered from the ADOS informs diagnosis but assists with treatment planning and educational placement. Usually, when a child under five years of age completes the ADOS, one parent is present in the room, while a child over five years of age completes the assessment with just the clinician present. During the parent interview the psychologist will ask you about your child’s development (e.g., temperament, communication skills, social skills, play skills, interests) and any difficult behaviours that may be present. An IQ assessment or developmental assessment is usually completed after the formal ASD assessment is conducted but, in some cases, it is essential that this test is done at the time of ASD assessment to assist with accurate diagnosis. Children with ASD may have an intellectual disability that needs to be identified to provide the most appropriate treatment plan for the child. The final step in the diagnostic process is the feedback session, where the psychologist advises whether the individual is on the autism spectrum, provides information regarding their strengths and weaknesses, and makes recommendations. Many families request a report at this time that summarises the results of the assessment and recommendations and this is an additional charge. developing and maintaining relationships, appropriate to developmental level (beyond those with caregivers). There must also be evidence of restricted, repetitive patterns of behaviour, interests, or activities. Janine offers treatment for children with a range of difficulties, including anxiety, behavioural and emotion regulation difficulties. Modified cognitive behavioural therapy* is used and, to optimise success, parents are usually included in the sessions for part of the time. 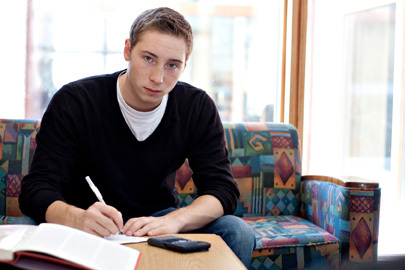 This participation helps to apply consistent strategies outside the therapy sessions. It is often helpful for Janine to first meet with parents alone to discuss their current situation and concerns. Decisions regarding the treatment plan are made with parents and Janine monitors and reviews the child’s progress over time. She frequently works with parents of young children with ASD to make their home life less stressful - see Parents: Support and Intervention for more information. Please note: while Janine offers Assessment and Diagnosis for all children, she does not currently see children below eight years of age for therapy and intervention. However, Janine often meets with parents of children in this age group to help manage any difficulties. 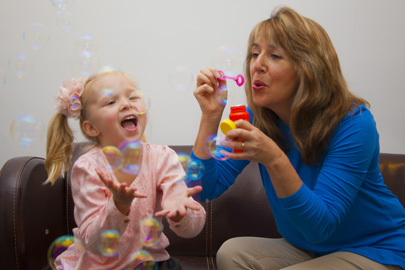 Depending on the child’s strengths and weaknesses and to optimise the child’s success, she may refer children in this age group to a speech pathologist, occupational therapist or other professional for specific, targeted interventions such as Social Thinking or a social skills group. In addition to having an ASD, some adolescents also have mental health issues, such as anxiety and depression, and many suffer from low self-esteem and social isolation. There are specific challenges for adolescents as they navigate their way to adulthood, often with little feedback from peers as to how to modify their behaviour to achieve more positive outcomes, particularly in terms of their social behaviour and social relationships. One of the main goals of therapy is to help the young person develop a sense of self and to assist them in becoming independent. Modified cognitive behaviour therapy is largely used in therapy and, in order to help adolescents reach their goals, referrals for targeted interventions, such as social thinking therapy, social skills groups and social communication therapy, may also be made. Sometimes referrals are made to medical practitioners, such as a GP or an adolescent psychiatrist, to assist with mood disorders and more complex family situations. Cognitive Behaviour Therapy explores the links between an individual’s thoughts, feelings and behaviours and helps people to change unhelpful thinking patterns, feelings and behaviours so they learn healthier skills and habits. CBT is an evidence-based treatment which is often used to treat a range of difficulties including anxiety, depression, anger, low self-esteem and other issues.